As parents we’re required to do a lot of things: comfort, heal, love, protect, provide, and teach. And along with each of these parental responsibilities, our hearts are called to do the same for our partner, friends, extended family, and ourselves. But that last part gets a little tricky sometimes. We’re often so busy doing for others that we forget to do these things for ourselves. As hard as I try to teach my children the necessary lessons for responsible living, they are the ones who continually provide me with the simple life lessons so easily forgotten. 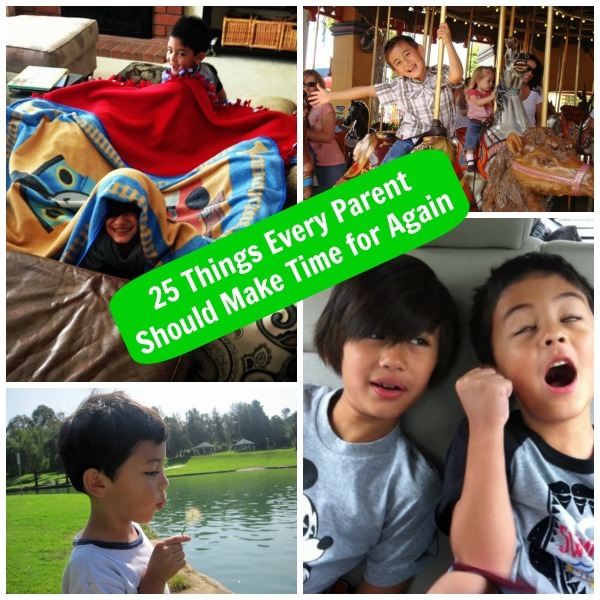 Take a look at 25 things that we as grown-ups need to make time for again. I promise, we’ll be happier for them!